EasyCart offers a vast array of shipping methods that allow you to use price, weight, quantity, percentage, static, or live (UPS, USPS, FedEx, DHL, Australia Post, Canada Post) rates. 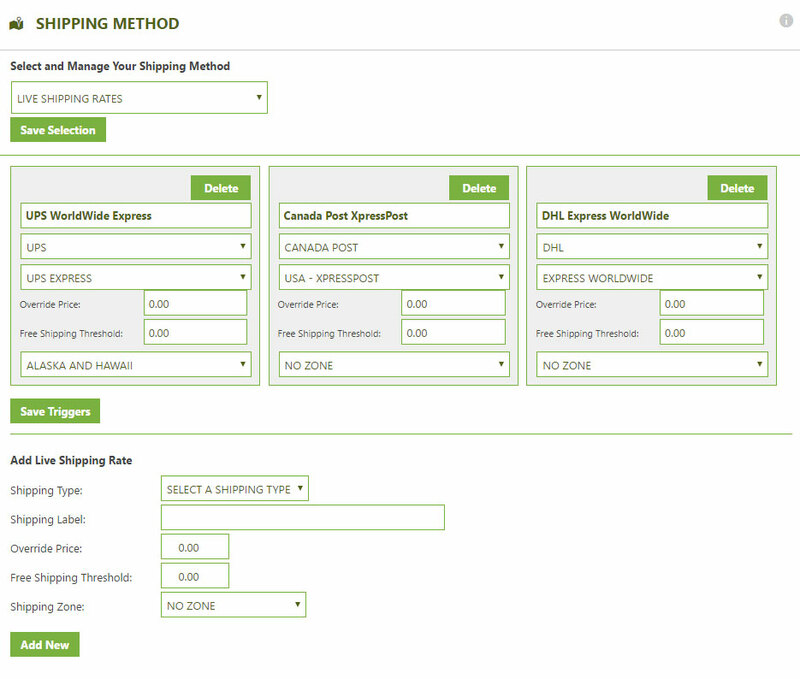 Shipping setup is the most critical aspect that most eCommerce users need setup correctly, and the first thing a user must decide on is which method you will use. 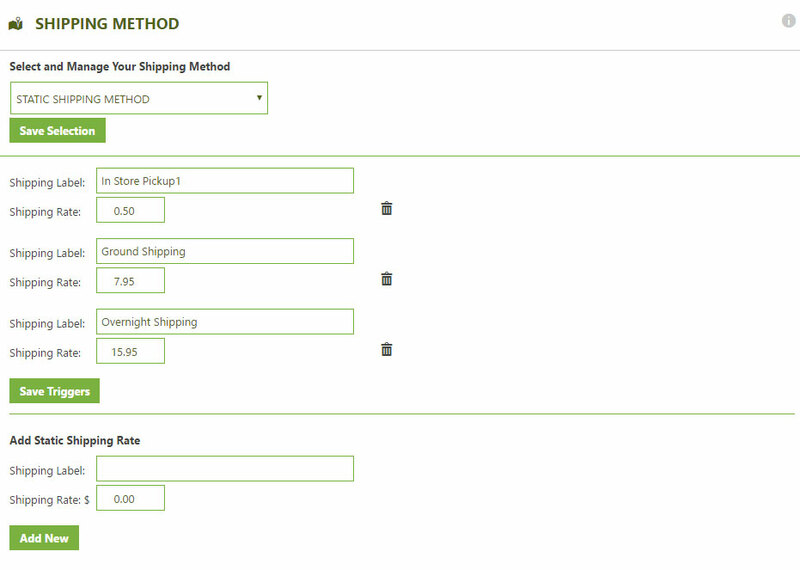 Once a method is chosen, you can customize the rates in that method, attach shipping zones to a rate and more. Once you have connected your live shipping accounts from within the Shipping Settings section, you can start to add live rates here. Remember, just because you add a shipping rate such as Ground or 2nd Day Air does not mean the shipping API’s will always return a rate. The shipping API’s from UPS, FedEx, USPS, etc. only return rates that work to that given address. Ground delivery may not work to Hawaii or Internationally, and 2nd Day Air may not work in some areas either. 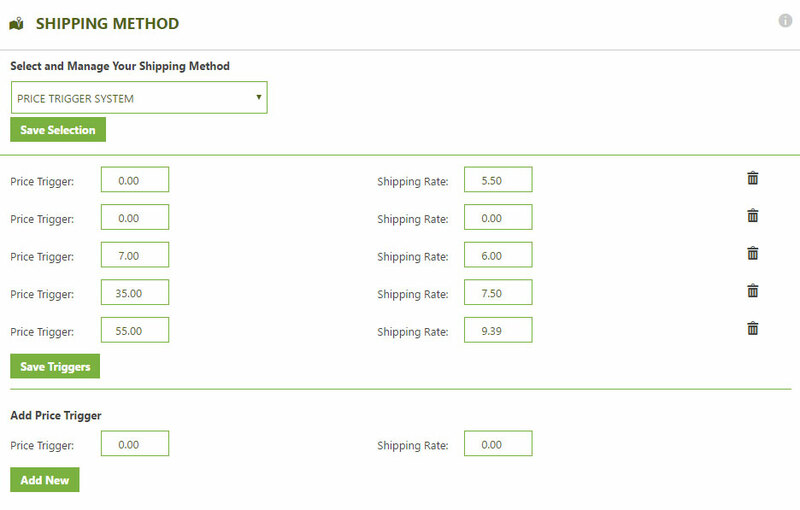 For this reason, it’s important to add several rates so that the user is always presented with a shipping option. Failure to do so may result in the user getting $0.00 shipping as it fails to find a match and lets the user place the order. Shipping Type: Select the shipping carrier that you will be using. You must have the account setup in the settings area for it to work. Shipping Method: These are preset methods that the carrier will provide during the API call. Shipping Label: This is what you wish to appear to the user. It may be the same as the method, or you can customize them here. 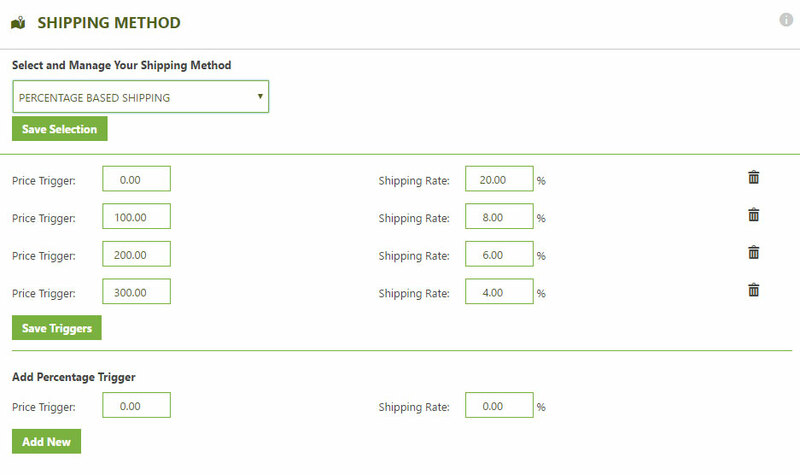 Override Price: You may select a shipping method, but override the price here. For example, Ground shipping is always free, so you may override the returned rate and make it $0.00. Free Shipping Threshold: You may allow free shipping when a certain cart total is reached. For example, 75.00 means that when a user reaches $75.00 in their cart, this method will offer $0.00 shipping. Shipping Zone: This will apply a post billing/shipping address filter and if a match is found, then this rate will appear. It is recommend to leave them at ‘No Zone’ if you do not understand how the post filter works. 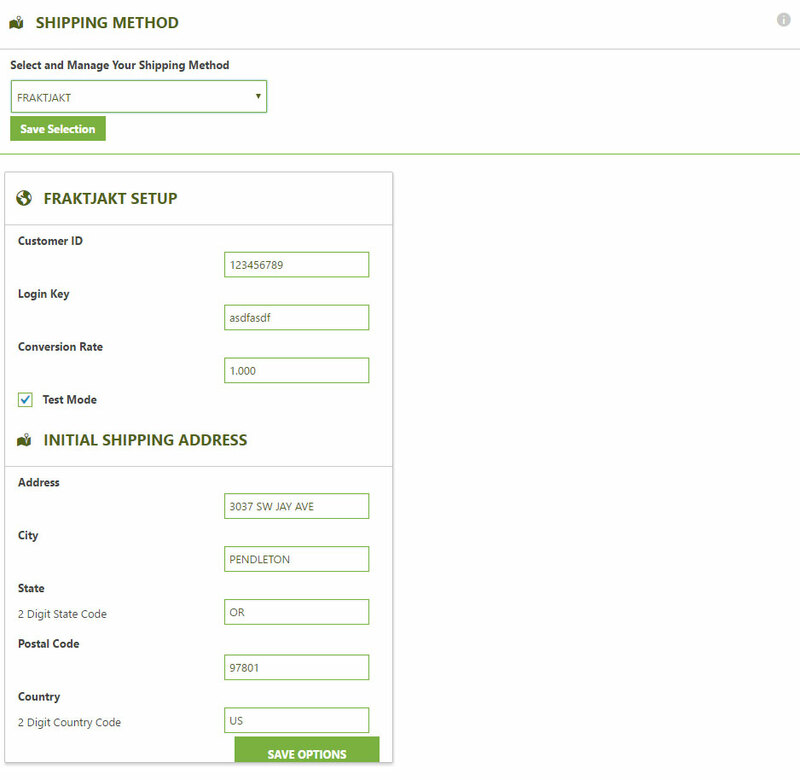 This basic static method allows you to simply enter a given shipping label and a rate. The user is given this information in a simple selection screen during checkout. It is the most basic and stable solution of any shipping and the lowest rate is always used as the default shopping cart rate the user will see. This basic table rate system looks for a price trigger, and then applies the given rate to the shopping cart. It will only look for ‘shippable’ products, which you can setup when creating or editing each product. 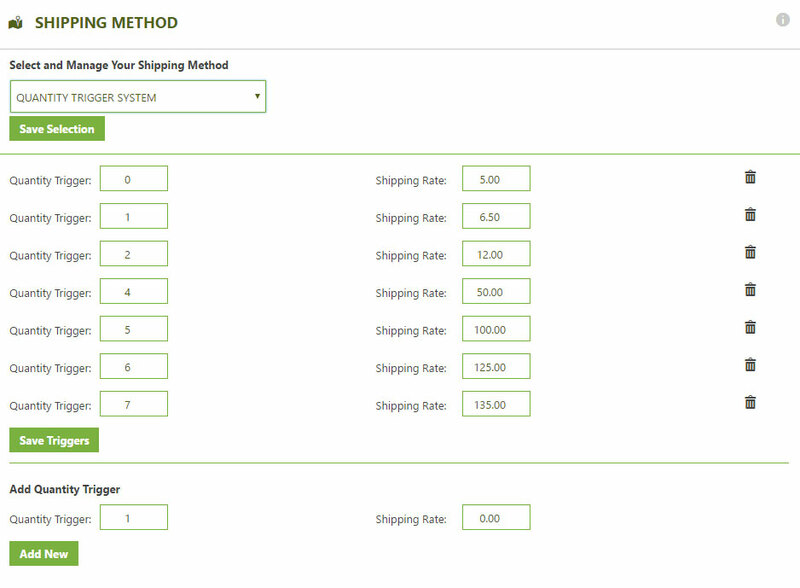 This basic table rate system looks for a quantity trigger, and then applies the given rate to the shopping cart. It will only look for ‘shippable’ products, which you can setup when creating or editing each product. This basic table rate system looks for a weight trigger, and then applies the given rate to the shopping cart. It will only look for ‘shippable’ products, which you can setup when creating or editing each product. This is a specialized european shipping system that connects and uses their API system for shipping.